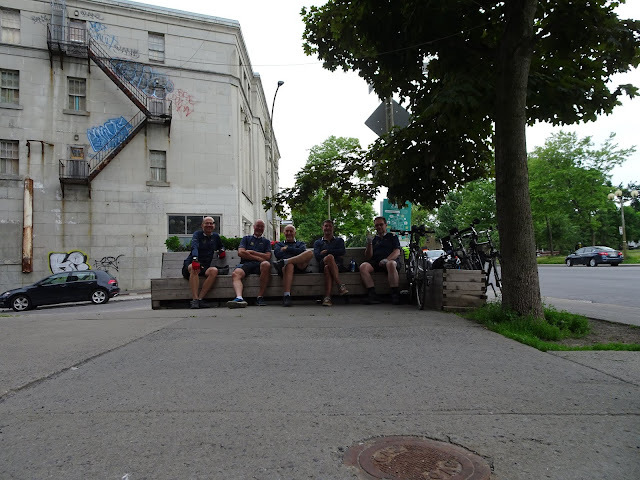 Five zealous MBC members pedalled 125 kms from the St. Justin train station back to Montreal. Thankfully the weather was great- low humidity and comfortable temperatures. To boot, we had favouring winds throughout our journey. The countryside on our trek from St. Justin to Saint-Ignace-de- Loyola and subsequently along the south shore from Sorel to Montreal was idyllic. The roadways and paths we took were pleasant- little traffic and smooth surfaces. The train to St. Justin is on the Jonquière line. 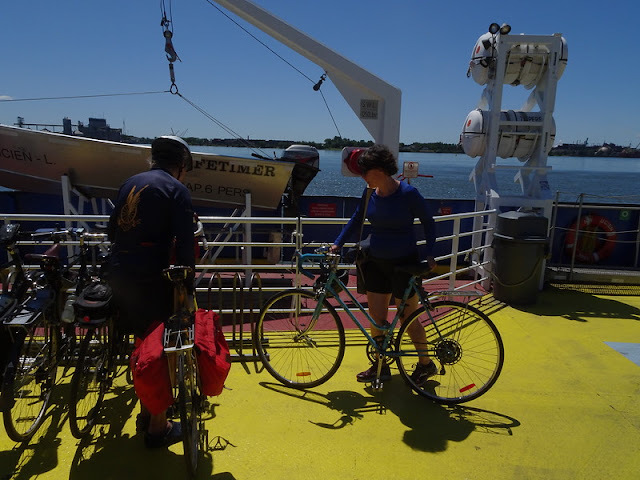 The fare is economical and there's no extra charge for bicycles. We left Central Station at 8:15 a.m. and arrived at St. Justin around 10:30. By noon were ready to board the ferry to Sorel. After riding for a couple of hours from Sorel under the hot mid-day sun, we passed a sign indicating that there we were still 80kms from Montreal. Disheartening! Fortunately this proved to be fake news. We were about 60kms from home at that point. Nonetheless, we still had a long way to go and time was getting on. In the absence of alternatives (trains or busses to Montreal), we persevered. By supper time we'd made it to Boucherville, where our spirits were bouyed by refeshments served up at riverside restaurant. Shortly thereafter some (wiser?) members of our troupe opted to take the metro from Longueil. 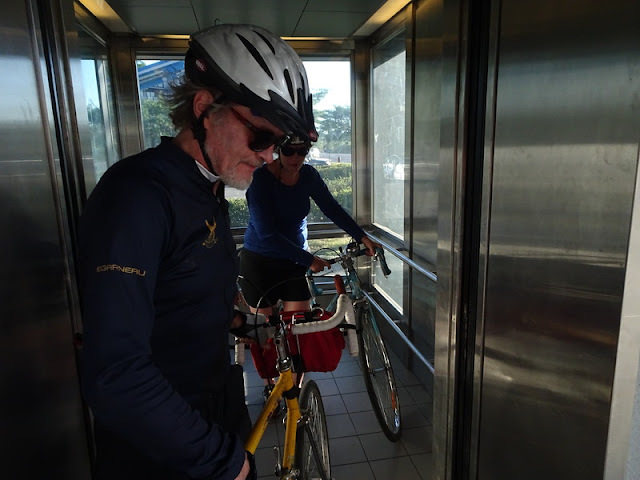 Despite the obstacles posed by elevators, escalators, and stairs, they soon arrived back on the island. G.T. Bishop and I kept pedalling- eventually crossing over the seaway at the St. Lambert locks. Although an arduous ride, all participants thoroughly enjoyed the day.